For Baselworld 2018, Breitling announced a new Chronomat B01 Chronograph 44 watch. The new version of the popular Breitling pilot’s chronograph features a few notable design details. Let’s find out what they are. From its case to its Pilot link bracelet, the new stainless steel Breitling Chronomat B01 Chronograph 44 has a satin-brushed finish rather than a polished one. This choice in finishing makes the watch more stealth than showy. On the other hand, as its name implies, the Chronomat B01 Chronograph 44 continues on with the 44mm sized case—which is not small by any means, especially when you consider the 16.95mm thickness of the case. Another excellent timepiece to the Breitling collection. The 2018 Breitling Chronomat is offered with a choice of two dial colors. There is the Blackeye blue dial and a Blackeye gray dial, each with a trio of subdials in contrasting black, hence the “Blackeye” reference. Those three dials display the small seconds, the 30-minute counter, and 12-hour chronograph indicator, along with the familiar date window discreetly placed in between 4 and 5 o’clock. There’s also the center chronograph hand with the signature Breitling script “B” and anchor at the end of it, coupled with the tachymeter scale on the outer rim of the dial. What are your thoughts on the Breitling Chronomat B01 Chronograph 44? Comment below. At the heart of the new Chronomat is Breitling’s in-house B01 Caliber automatic movement operating at a rate of 28,800 beats per hour and offers a 70-hour power reserve. Although the B01 Caliber isn’t new to the Chronomat collection, this COSC-certified manufacture movement is a big draw when used in Breitling’s chronographs. While this chronograph is certainly pretty, we still have our hearts set on the Rolex Daytona RBOW that came out earlier this year, but back to Breitling. As a robust tool watch, the Chronomat B01 Chronograph 44 is water resistant to an impressive 500 meters. There’s plenty of lume on the dial for visibility in low light and the unidirectional rotating bezel does not include numerals, but instead the characteristic rider tabs in addition to one luminous dot at 12 o’clock. Of course, protecting the dial is scratch-resistant sapphire crystal, while the caseback is solid. 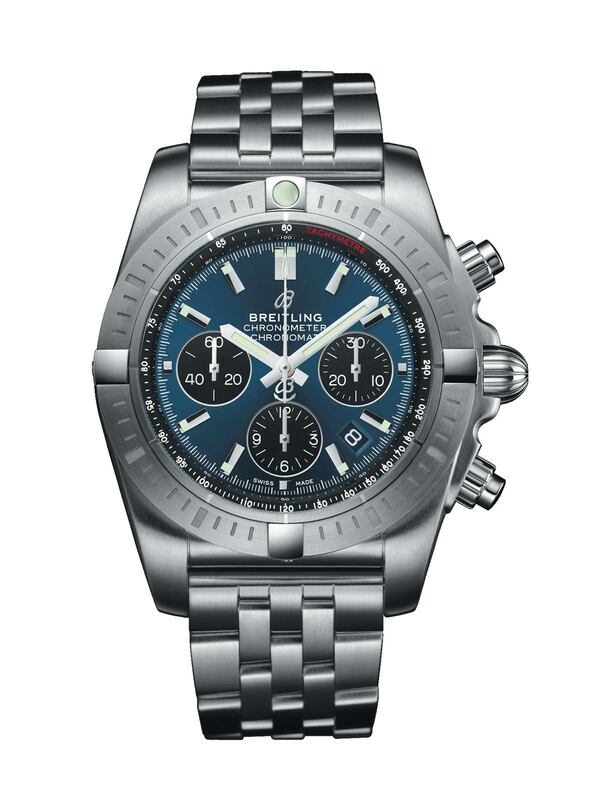 Breitling certainly hasn’t reinvented the wheel with this new Chonomat chronograph. But, what the brand has done is take the already very popular Chronomat chronograph watch and toned it down with some subtle design choices. 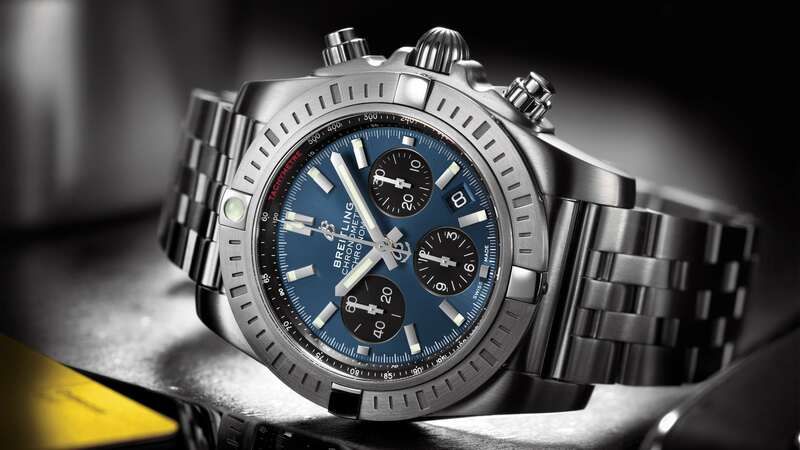 What do you think about the new Breitling Chronomat B01? Do you like the new subdued approach? Leave us your comments below.